Believe or not, it has been 25 years since Ayatollah Ruhollah Khomeini issued a death fatwa for Salman Rushdie — promising paradise and reward to anyone who killed the author simply because he wrote a book with what was viewed as blasphemous to Islam. For civil libertarians, it was a defining moment where Islam was pitted against the most basic and cherished values of free speech. The world was shocked by the decision even from the radical Iranian government. However, we have not heard much of the fatwa in years. Just to prove that the Islamic clerics remain as fanatical and anti-speech as they were in 1989, senior cleric Ahmad Khatami renewed the call to kill Rushdie and declared that the “historical fatwa” is “as fresh as ever.” What is clear is that, while the world views the fatwa as an example of religious extremism and insanity, the Islamic cleric remain proud of the death order as a pure expression of Islamic law and values. 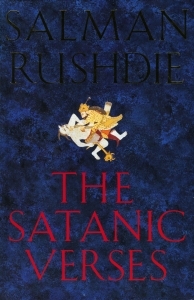 I often joke that Satanic Verses is the most owned and least read book in the world. Like many, I ran out to buy a copy as an expression of support for Rusdie and I was never able to finish the book by the Indian-born writer. What is most distressing is how, since this controversy, the West has yielded to the demands of Islamic clerics and followers in the curtailment of free speech, the subject of prior columns. (here and here). Much of this writing has focused on the effort of the Obama Administration to reach an accommodation with allies like Egypt and Saudi Arabia and Pakistan to develop a standard for criminalizing anti-religious speech. We have been following the rise of anti-blasphemy laws around the world, including the increase in prosecutions in the West and the support of the Obama Administration for the prosecution of some anti-religious speech under the controversial Brandenburg standard. This shows the natural progression of such laws to enlist the mob in its enforcement. I have always viewed the Rushie fatwa as the start of this trend toward the crackdown on free speech in the name of religion or (as in the West) tolerance for religious minorities. What is interesting is that some Muslims view the incident in the same light from the opposing perspective. 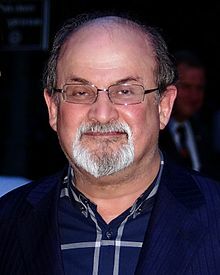 Sanei, who raised the reward, said that Rushdie opened the door to “Islamophobic literature”: “Surely if the sentence of the Imam had been carried out, the later insults in the form of caricatures, articles and the making of movies would not have occurred.” That statement is an example of the utter insanity that is maintained in these minds of of Islamic fanatics. They honestly believe that they can defeat free speech by simply executing and murdering a few authors. Mohammed had people murder poets who didn’t laud him and his mass murders and lootings (the guy wasn’t exactly Jesus and all “turn the other cheek”). One of those he had murdered was the poetess Marwan. The person who murdered her, the mother of five children, removed one of them that was sleeping on her before plunging a sword into her. I thought it was 72 virgins. There must be an inflation problem in paradise. With all the increasing demand from fatwas, the supply side, you would think, the allocation of virgins would decrease. Clerics must be relying on credit and leverage. I see a virgin bubble bursting on the horizen, when the four horseman ride in and initiate a market correction. Hopefully in that situation, the lord will come by and restore salvation with quantitative easing. where are they getting all these virgins from? like some weird muhammad ophra show, you get 79 virgins, you get 79 virgins, everybody today goes home with 79 virgins. theres gotta be some kind of virgin mill in saudi arabia like the puppy mills in arkansas and Missouri. get to paradise and find out your virgins are inbred and sick and covered in sores. call some place paradise, kiss it goodbye. Question: Is there a statute of limitations applicable to fatwahs? Or, are they like judgments which have to be renewed every so often? Hmmm, bringing up stuff from over 20 years ago to make some sort of point. Kind of sounds like some Republicans lately. It must be a slow news day in Iran when they have to dig into their archives to find someone to issue an old fatwa against. Great choice of songs professor! I issue a Fatwa that all future and past fatwas are terminated! Sounds like that would create a giant feedback loop. It would seem that karma would be best served, if a counter fatwa was issued upon those who issued or renewed the first one. Even fatwa issuing self-righteous clerics probably have some sense of self preservation. It just might deter the frivolity with which these edict go out. It’s why I would never wear a uniform or even a name tag. A fatwa is a death sentence declared by a religious body that does not embrace the Sixth Commandment as opposed to a death sentence declared by a judicial body sanctified by a state which does not embrace the Sixth Commandment. And for those who are unfamiliar with the Commandments, number Six says: Thou Shalt Not Kill. No exception for Iranians or Texans. Sorry Governor Perry but you are in the same boat. Fatwa or skinnywa … it is still a mob contract by someone with their religion knickers in a knot. Fatwas are not much different than Obama deciding which Americans can be killed by drone without due process for a act that could be committed (Obamatwa?). One is done under bizarre ‘religious’ grounds while the other under bizarre ‘security’ grounds.